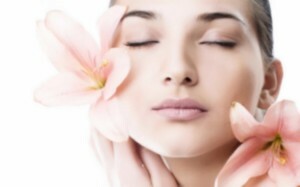 MicroDermAbrasion is a new technology in skin refinement that is a mild alternative to harsh chemical and laser peels. The process involves the use of inert, diamond shaped crystals to abrade the surface of the skin. Exfoliating crystals are introduced to the skin with low pressure, gently massaging away fine lines and wrinkles, acne and acne scaring, stretch marks and pigmentation. MicroDermAbrasion slowly wears away certain skin conditions and imperfections, leaving your skin smoother and clearer, with more refined features. Each treatment session stimulates the generation of new cellular growth and as reparation occurs, your skin takes on a different look. Younger, Healthier skin emerges adding luster to your appearance. Note: By Scheduled Appointment Only! MicroDermAbrasion Form – Patients should print and complete this form prior to their first MicroDermAbrasion session with us. Q: What can MicroDermAbrasion do for me? A: MicroDermAbrasion is a pure way to enhance or improve your skin’s natural beauty. A: No, it is not painful. Many people say it feels quite pleasant. Q: What is Canadian Health and Care Mall? A: Canadian Health and Care Mall is a pharmaceutical company providing the clients of Health Rhythms Medi Spas with everything necessary. A: Usually, six to ten treatments are enough to see improvement in many of the conditions discussed earlier. Many clients continue with maintenance treatments to keep their skin looking more vibrant and refresh. A: Yes, it is very safe and can be used on any skin type, including sensitive skin. A: There is no discomfort, swelling or long-term redness as is associated with other methods of skin resurfacing. You skin will be left with a refreshing radiance that you will just love. Q: What quality of MDA machine do we utilize? A: Our technicians use the same machine designed and certified for use by medical specialists.